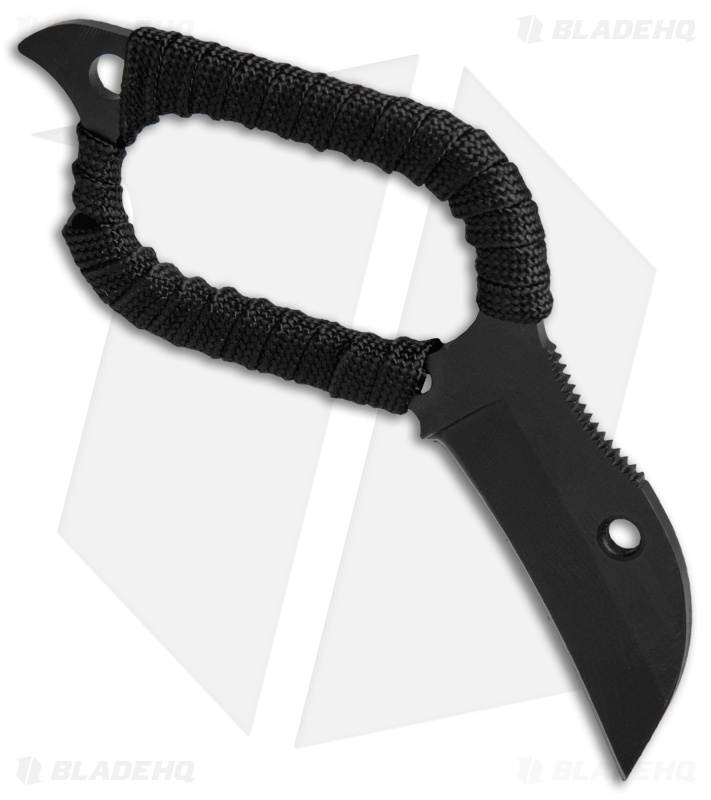 The Medium Talon is a compact neck knife that virtually "locks" into your hand to become an extension of your fingers. It's made from a solid piece of 1.4116 stainless steel with a black finish and a grip enhancing cord wrapped handle. The blade is designed to angle away from the hand so it doesn't interfere with holding or grasping other items. 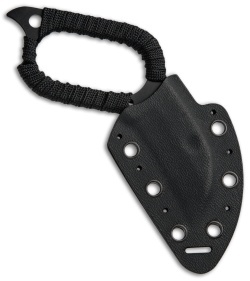 Includes a molded sheath and various accessories to offer almost unlimited carry options. 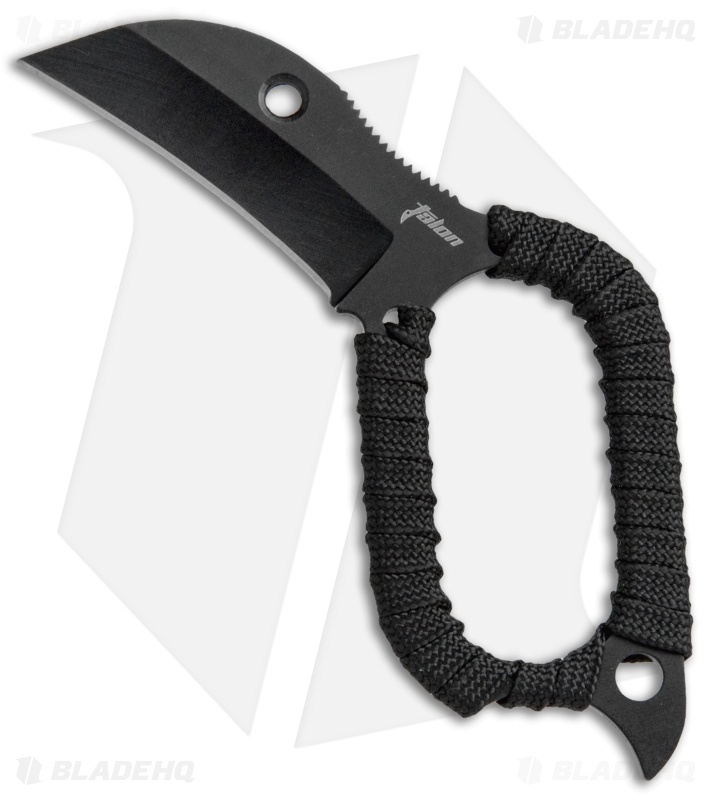 Secure, ergonomic design makes the knife near impossible to drop. Thumb jimping provides maximum cutting force and precision. 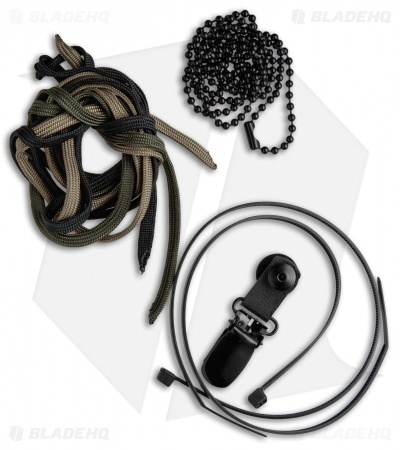 Comes with a molded sheath, clip assembly, neck chain, 3 paracord wraps, and 2 plastic zip ties.